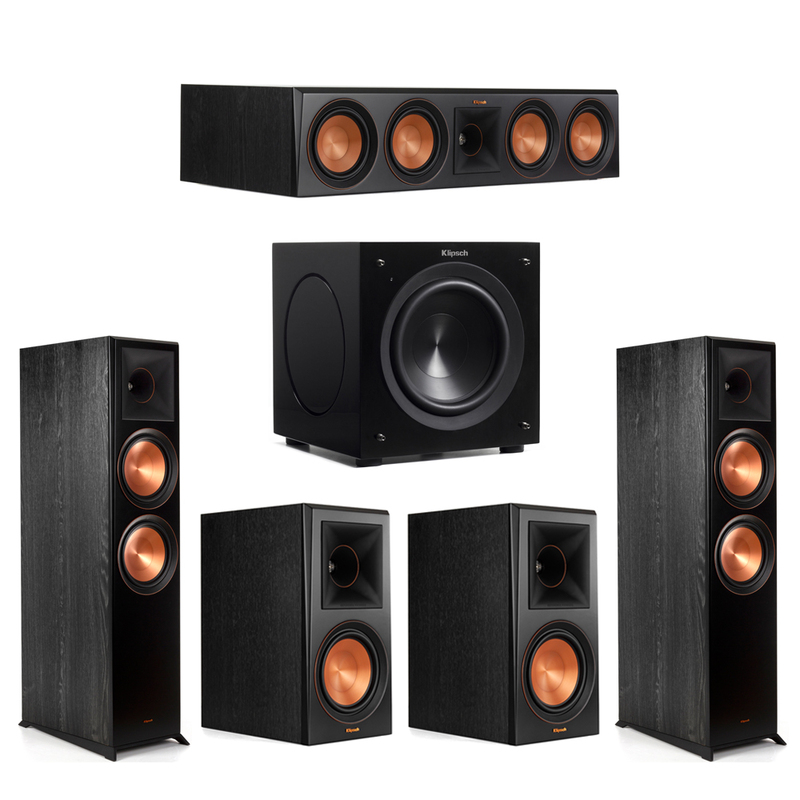 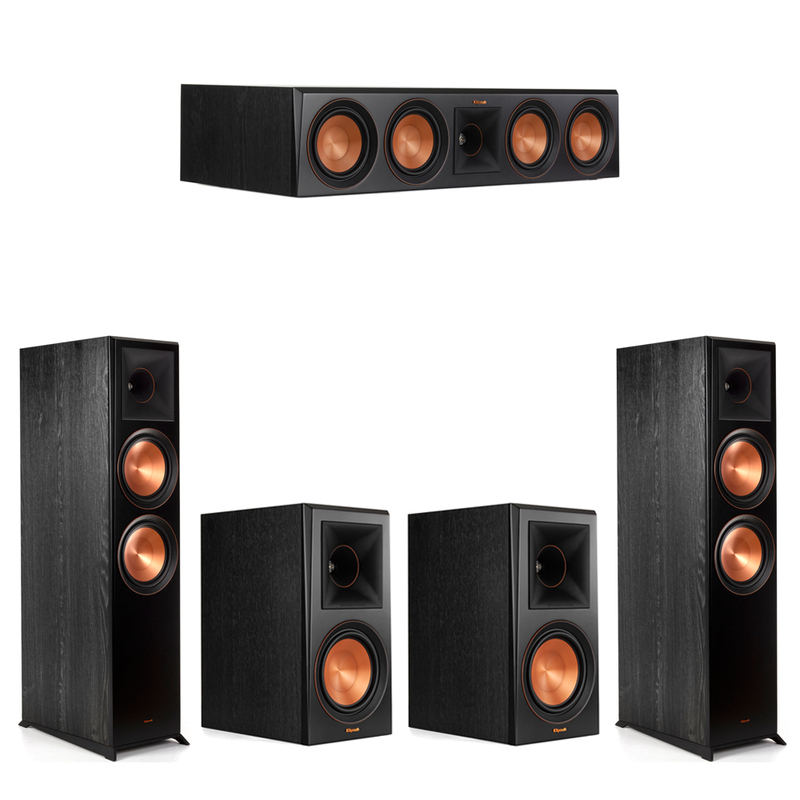 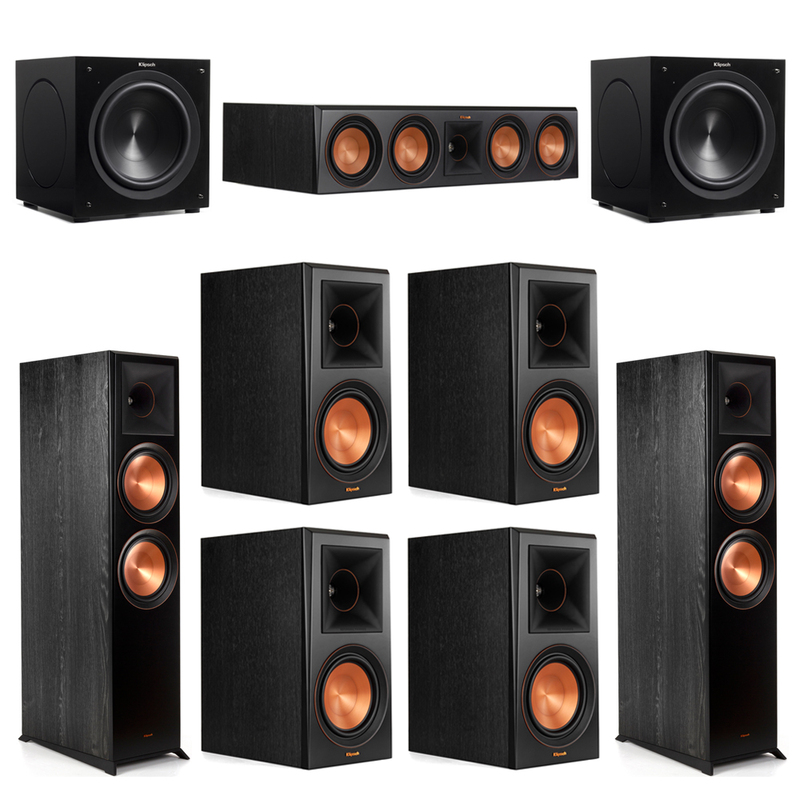 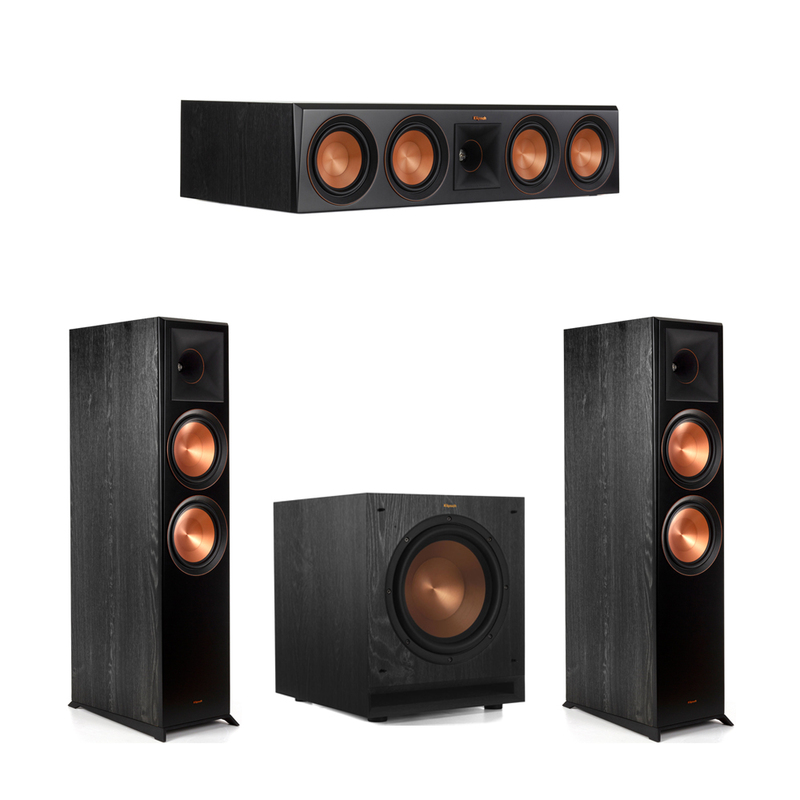 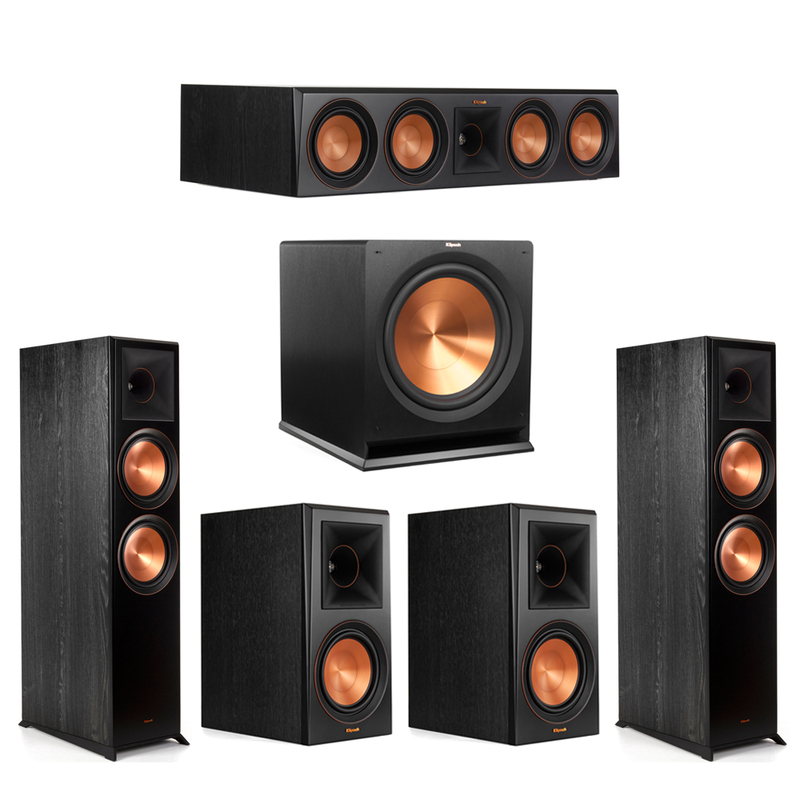 Klipsch Reference Premiere RP-8000F floorstanding speaker - delivers incredible cinematic sound by leveraging the Klipsch proprietary Tractrix horn-loaded technology and dual 8-inch copper-spun Cerametallic woofers. 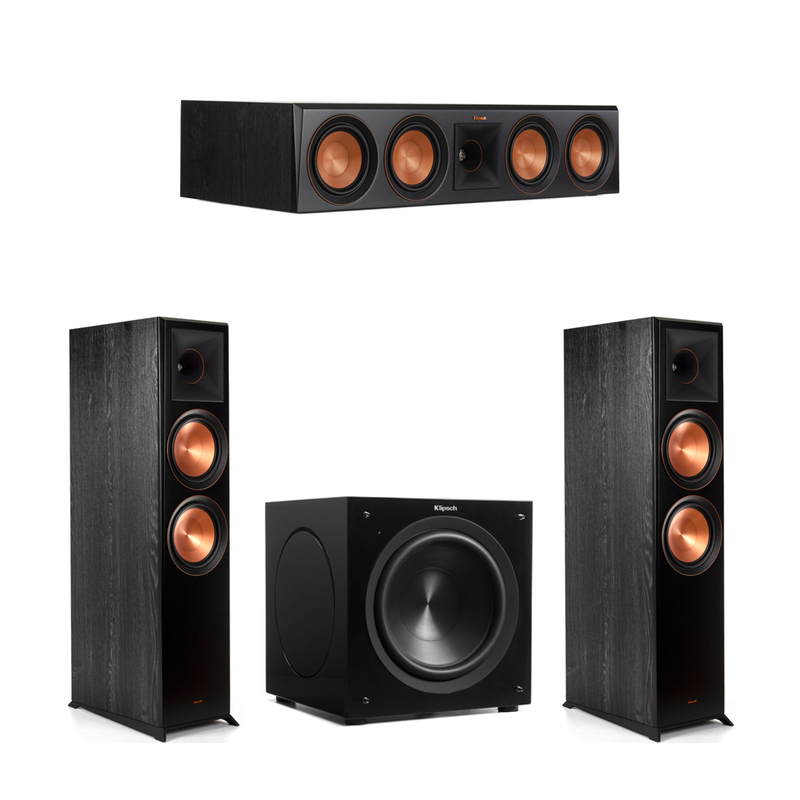 Klipsch RP-504C center channel speaker - The Klipsch Reference Premiere RP-504C center channel speaker brings movie dialogue and music lyrics to life. Four 5.25-inch Cerametallic woofers and a hybrid Tractrix horn emit lifelike, front row sound. 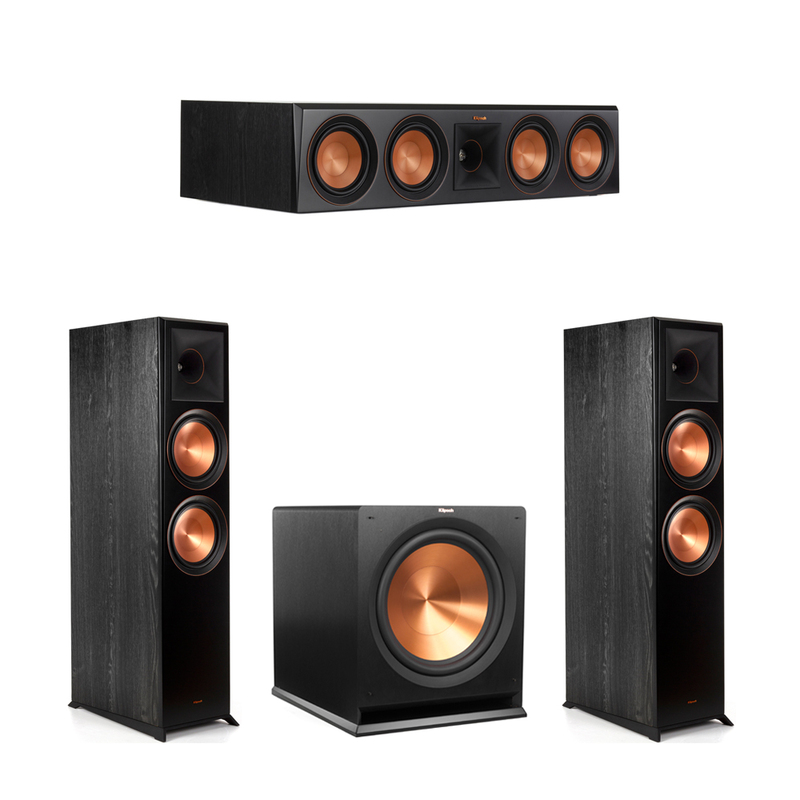 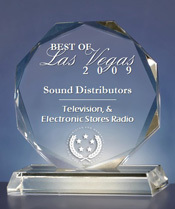 Klipsch RP-600M Bookshelf Speakers - Leveraging a 1-inch titanium tweeter matted to the Klipsch proprietary hybrid Tractrix horn - the Klipsch Reference Premiere RP-600M bookshelf speaker delivers incredible acoustics to fill your home with loud, crystal-clear sound and robust bass that no ordinary bookshelf speaker can. Klipsch C-310ASWi Subwoofer - Klipsch C- Series subwoofers take performance and style to a new level. 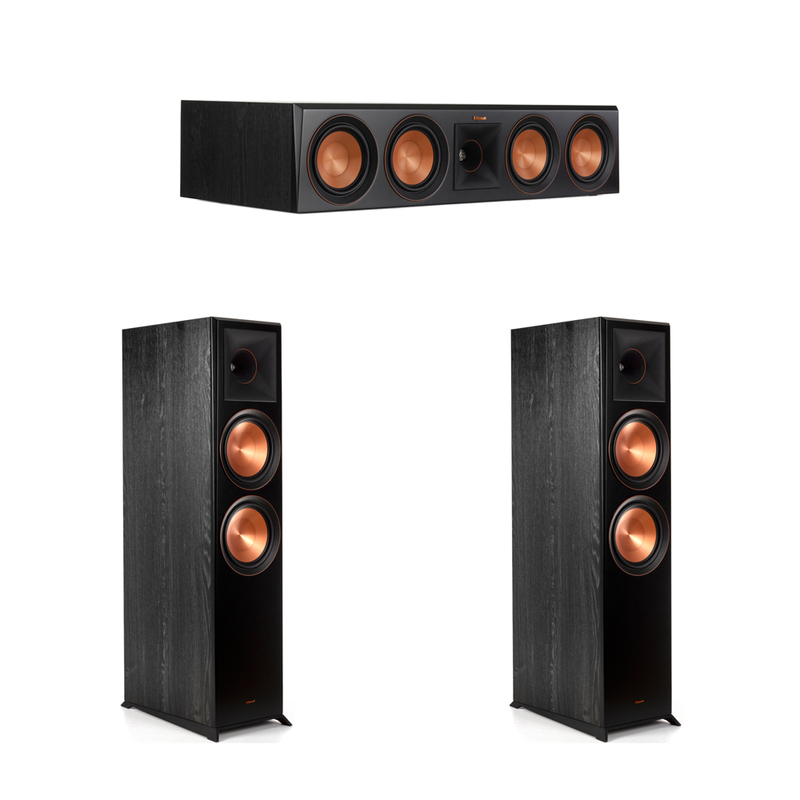 With a front-firing CerametallicT active woofer powered by a BASH digital hybrid amplifier, the C-310ASWi uses side- firing passive radiators to optimize output and low frequency extension while minimizing cabinet size. 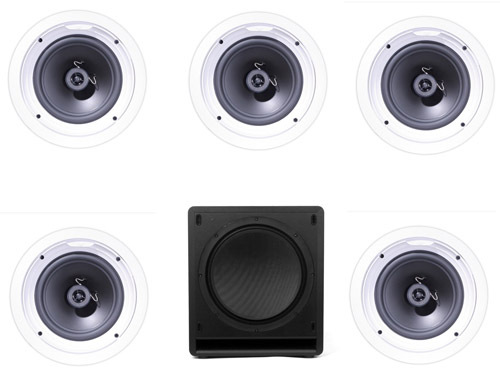 The hand polished piano gloss finish allows it to live as high end furniture in any listening environment.